In the morning of December 7, 1941, hundreds of Japanese bombers and fighter planes launched a surprise attack on the American naval base at Pearl Harbor, Hawaii. Beyond the thousands of lives lost and the ships damaged or destroyed, the attack forced the United States to be a major player in World War II. For the next four years, American forces fought the Japanese on land and in the air and sea throughout the Pacific Ocean. Discover the main events of Pacific War, and the sacrifices and heroism of its combatants, at the National Museum of the Pacific War in Fredericksburg. The National Museum of the Pacific War has one of the most comprehensive collections of equipment and memorabilia dedicated to the Pacific Theater in the country. Interactive exhibits, state-of-the-art media, unique artifacts, and vintage warplanes and ships are on display indoors and outdoors at the museum’s six-acre complex in downtown Fredericksburg. Why Fredericksburg? It is the hometown of Fleet Admiral Chester Nimitz, who oversaw the Allied war effort in the Pacific from the dark days after the Attack on Pearl Harbor to the war’s end in September 1945. 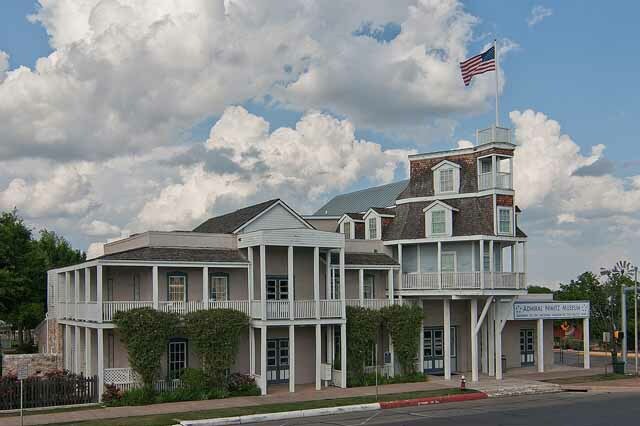 In fact, the museum’s original building was once the Nimitz Steamboat Hotel, an inn owned and operated by the admiral’s grandfather in the late 19th century. Today, it houses the Admiral Nimitz Museum, home to a wide variety of exhibits that tell the story of Nimitz’s life, career, and accomplishments. Yet the Admiral Nimitz Museum isn’t the only attraction at the National Museum of the Pacific War. Head to the George H.W. Bush Gallery, housed within a state-of-the-art exhibit hall, to learn about the causes, significant events, and lasting impacts of the Pacific War. Watch the media-rich presentations and meaningful veteran testimonials, marvel at the displays of authentic military uniforms, and discover the experiences of the brave soldiers, sailors, and pilots as they fought from island to island. 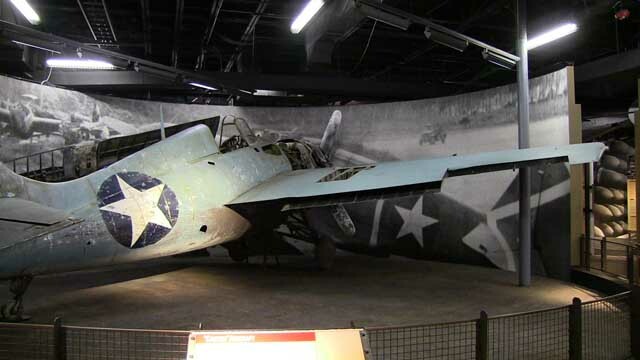 The gallery also includes a HA-19 two-man Japanese sub that participated in the attack on Pearl Harbor. While the George H.W. Bush Gallery offers a macro-look at the war, the Pacific War museum’s Plaza of Presidents and Memorial Courtyard provides some perspective on the individuals that served. Take a moment to explore the Plaza of Presidents and you’ll find stone and bronze memorials that outline the services of 10 U.S. Presidents, from Franklin D. Roosevelt to George H.W. Bush. Then stroll through the Memorial Courtyard and examine the plaques commemorating the individuals, units, and ships that served in the war. Finally, take a moment to reflect as you explore the tranquility of the Japanese Garden of Peace, which was built and donated by the people of Japan in the 1970’s. All of this may sound like a lot to take in, but you’re not quite done yet. For a one-of-a-kind immersive experience, plot a course for the Pacific Combat Zone, a two-acre indoor/outdoor exhibit that is one of the most popular exhibits at the museum. Climb aboard a historic PT boat Tender as it prepares PT-309 for a mission, get an up-close look at a TBM Avenger (one of the most significant planes in the war), and examine an enormous to-scale map of the Pacific Theatre. Don’t miss the living history demonstrations at the Pacific Combat Zone. Watch as a team of U.S. Forces attempt to capture a fortified Japanese position with landing craft, tanks, and flamethrowers. A showcase of the equipment, weapons, and tactics of the Pacific Theatre, this thrilling show brings history to life. Get your tickets today. The National Museum of the Pacific War’s provides an unmatched look at the heroism, sacrifice, and events of the time while also honoring the memory of those who served. If you’re a fan of American history, you can’t miss a visit to this museum while you’re in Fredericksburg.